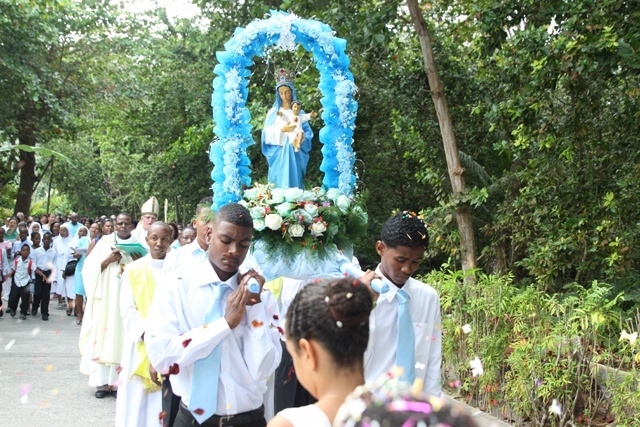 This weekend will see a wave of visitors swarm to the tiny Seychelles island of La Digue for “La Fête La Digue” – a weekend of partying and celebration culminating with an island-wide Catholic procession celebrating the “Feast of the Assumption of Mary” on Tuesday 15th August. The Feast of the Assumption of Mary is a big day in the La Digue calendar, as the Virgin Mary is the Patron Saint of La Digue. 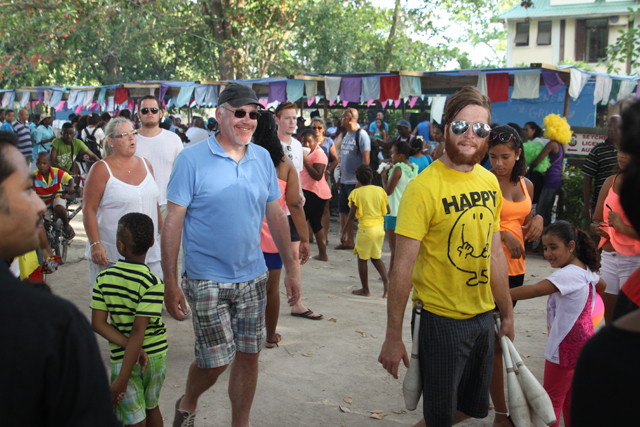 Hundreds of Roman Catholics from around the island nation will descend on La Digue together with a mass of overseas visitors keen to experience this unique cultural event. “La Digue is one of our jewels, and the feast on August 15 is an event which is unique to the island. It is a religious feast, but at the same time a cultural event. At the Tourism Board, we are committed to put forward our culture and our people” said Mrs. Sherin Francis (CEO Seychelles Tourist Board). 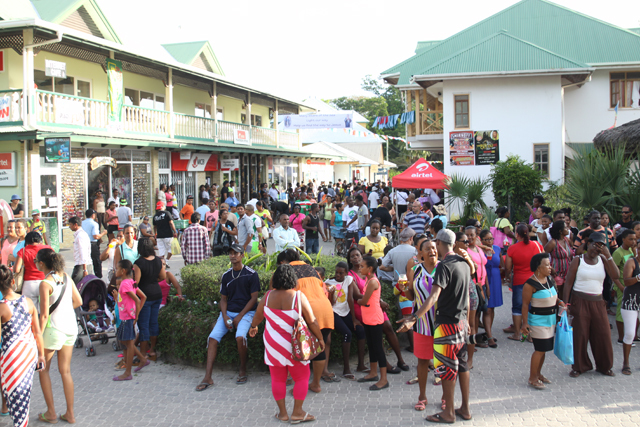 The island is buzzing in anticipation for the big celebration, with make shift coconut shacks, colourful bunting and booming stages lining “La Passe” (the main street of La Digue) ready to clothe, feed, entertain and most importantly quench the thirst of the island revellers with Seybrew, Eku, Guiness and Takamaka Rum. Whilst the weekend will see a pumping party atmosphere, the mood becomes calmer and more reflective for the religious procession on the 15th August. Starting at the quaint rainforest grotto in the centre of the island, followers will walk alongside the Parish Priest and Head of the Catholic Diocese of Port Victoria, down the quiet winding streets of La Digue to St Mary’s Church where they attend a special mass. Hotels around the island are ram packed with party-goers who often book over 6 months in advance to secure their accommodations and extra boats have been scheduled by both Cat Cocos and Cat Roses to meet the demand – it really is an event unlike any other. La Fete La Digue, gives visitors a chance, not only to celebrate a significant moment in the religious calendar, but also to taste the unique, timeless atmosphere of one of Seychelles’ most traditional islands. 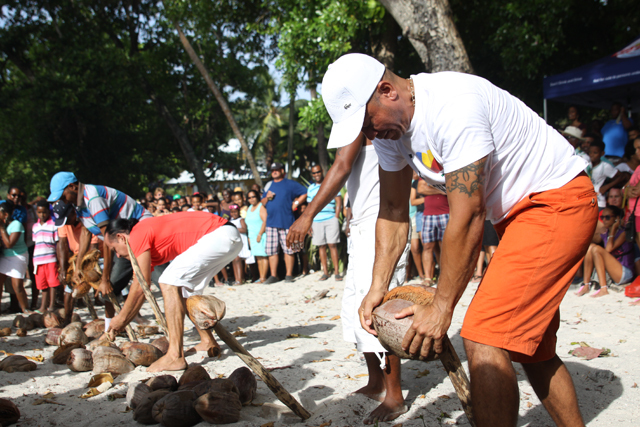 Will you be on La Digue for the festivities this weekend? We would love to hear your experiences and see your instragram posts. Interested to visit the festival for yourself in 2018? Be sure to keep an eye on our website so that you can secure your accommodation as soon as our booking engine goes live. * Photos taken from Seychelles News Agency 2014.